This is a 24 bolt fuel cell fill plate replacement that contains a built in Fuel Surge Tank for single or dual internal fuel pumps, such as DW300, DW400, Walbro GST450, Walbro GST 520 or any standard 39mm pump. 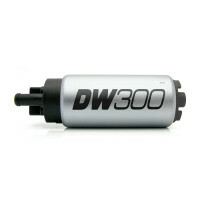 It gives you a light weight and space efficient installation with minimum fuel piping and a easy-to-use setup. 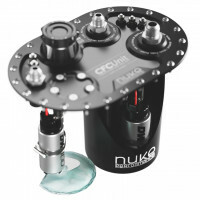 It really simplifies the setup and reduces the failure points in fuel system plumbing. 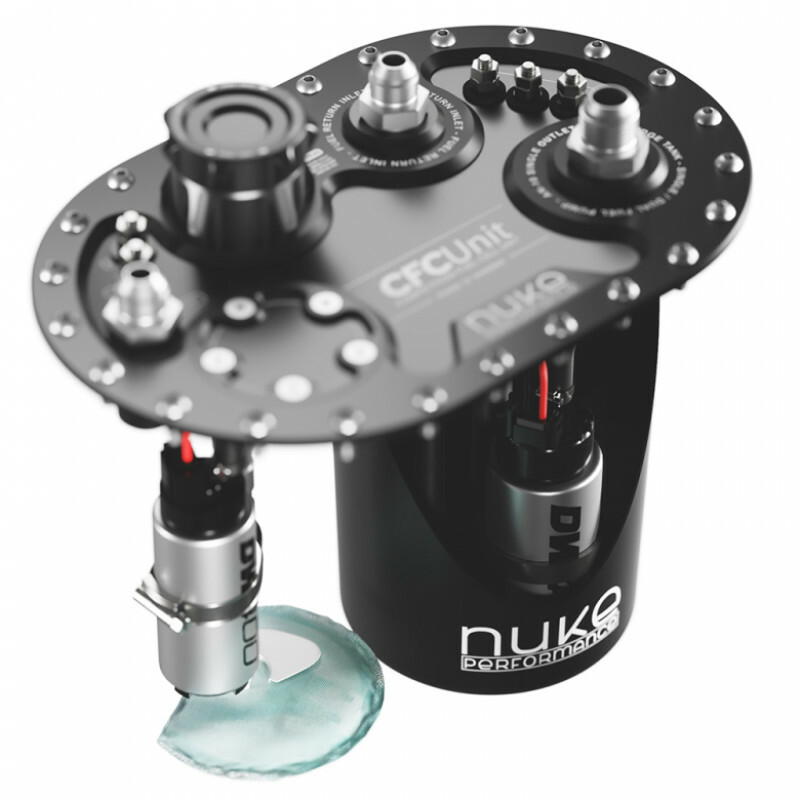 The Nuke Performance Competition Fuel Cell Unit (CFC) is a fill plate replacement for fuel cells from market leading manufactures including ATL, FuelSafe, Jaz, Harmon, Pyrotect and several others. It has a 6*10" design with the standardized 24 bolt pattern to fit most manufacturers fuel cells. The output of the two internal pumps is combined into one 7/8 AN-8 / AN-10 outlet with both fittings included. 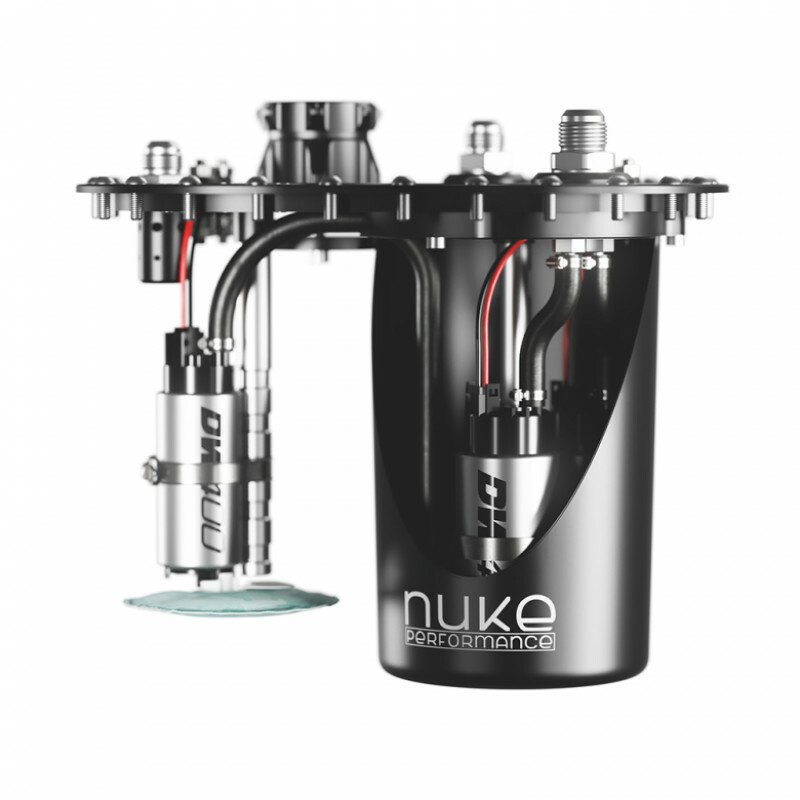 This allows the fuel tank to deliver steady fuel flow even for engines over 1400 HP. For the lift pump (pickup pump), the well known electrical connectors makes it possible to choose from almost any pump. 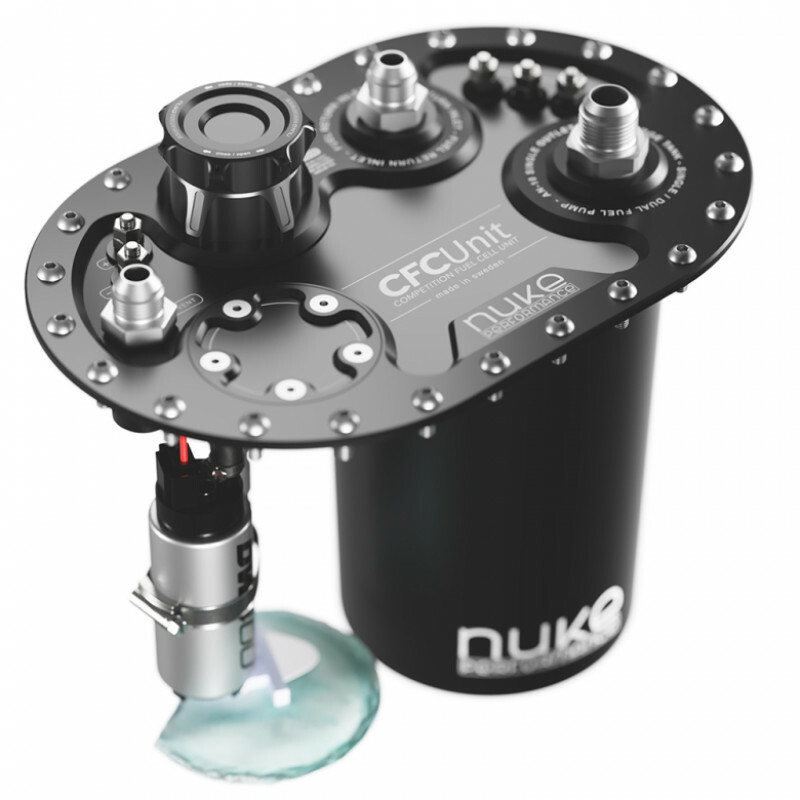 The CFC's surge tank has the well-known Nuke billet brackets and with this kit you get both the bracket for 39mm fuel pumps as well as the bigger one for Deatschwerks DW400 pumps. 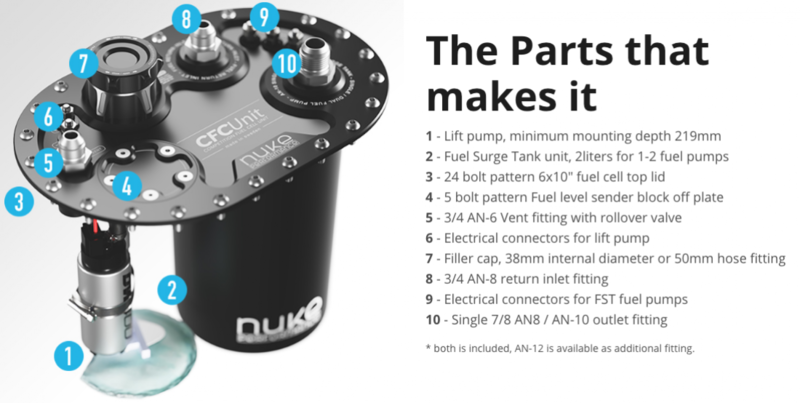 Delivered with everything you need for a 1+1 or a 1+2 fuel pump installation and with both AN-8 and AN-10 fitting for the fuel line. It also comes with a AN-6 fitting with roll-over valve for ventilation. 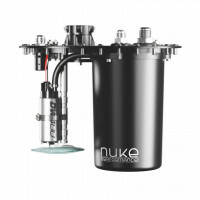 The fuel filler is integrated into the unit and comes with a billet aluminum cap. 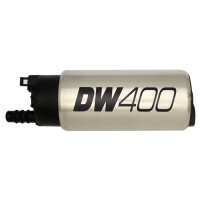 Alternatively, an adapter can be purchased to connect to fuel filler necks. 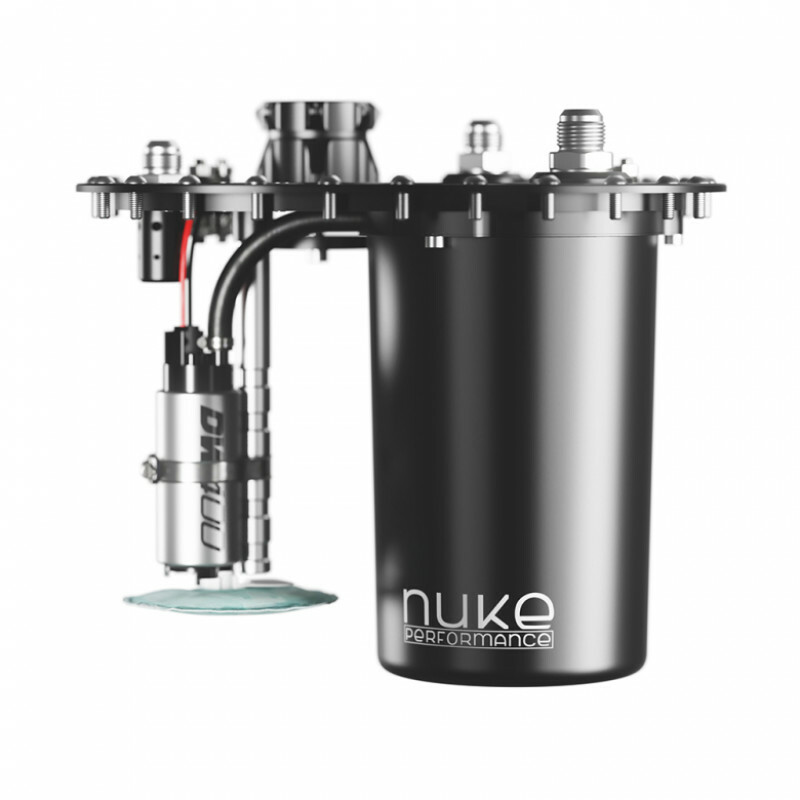 Designed to stand up to the destructive properties of alcohol fuels, including methanol and ethanol. 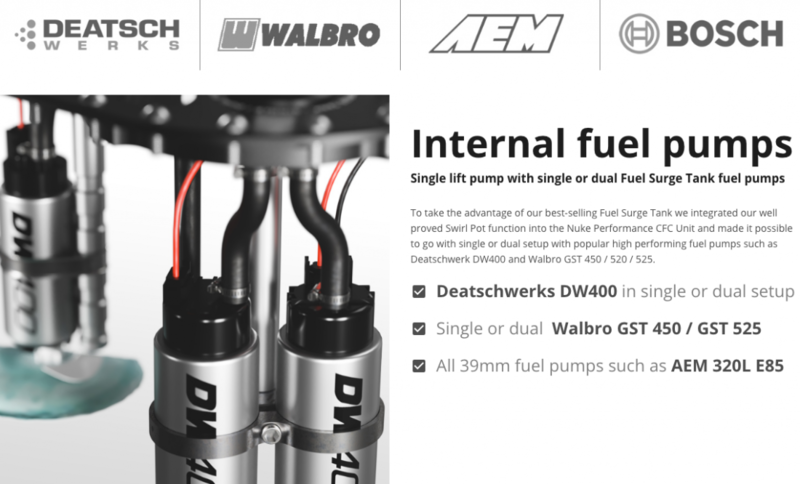 Fuel pumps are not included.